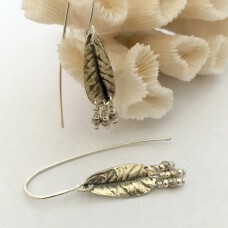 Handcrafted in fine silver from a real hibiscus leaf - these are a truly gorgeous and head-turning d.. 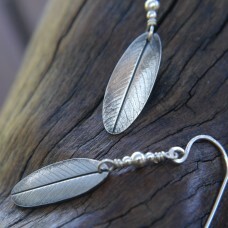 This dainty pair is cast from an oregano leaf. 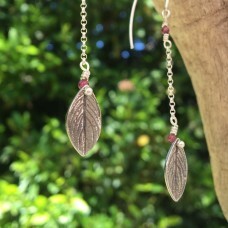 They hang off a fine sterling silver rolo chain and i..
Light and easy wearingLittle Desert Rose Leaves, imprinted into fine silver and finished with dangle..
Who doesn't love frangipanis? 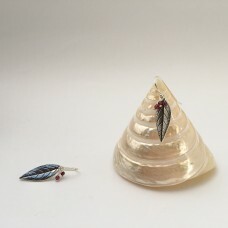 !I handcrafted the 2 halves of a little frangipani leaf from fine silve..
oh my..!These are one of those pairs I make and I want them to jump into my jewellery box... 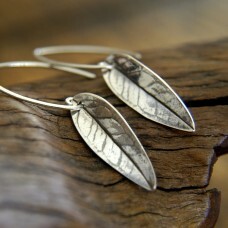 These a..
Beautiful Handcrafted Leaf Dangly Earrings - earthy, and very beautiful. 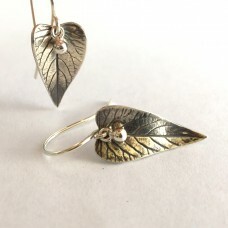 Items comes in a recycled g..
Beautiful Handcrafted Leaf Dangly Earrings. 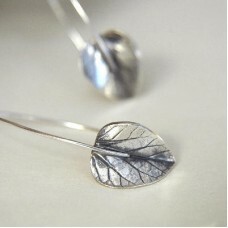 Item comes in a recycled gift box with our own hand stam.. 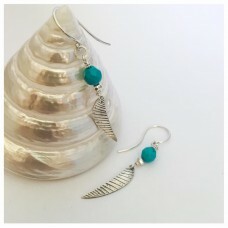 This cute pair is a favourite. 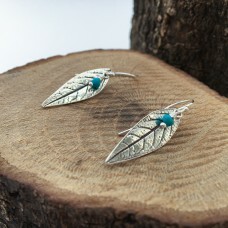 The little leaves from an Australian Native plant were cast into fine.. 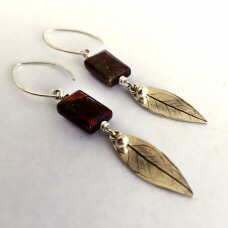 The little purple garnet dangles overhanging these gorgeous silver leaves give them a playful and st..
Just BeautifulThese feature simple leaves I have made in fine silver but I have brought the whole pi.. 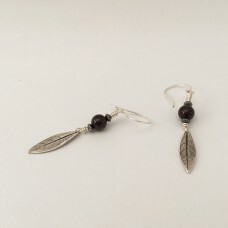 These cute little polished dangles are a favourite of many. 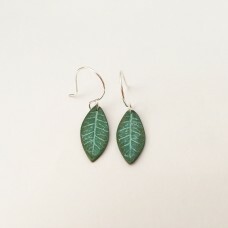 The leaves are curved to represent the r.. 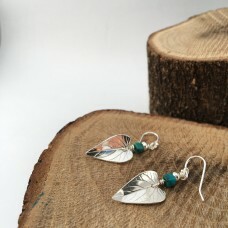 The turquoise little dangles overhanging these gorgeous silver leaves give them a playful and striki.. 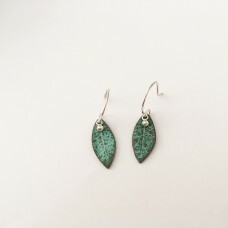 This gorgeous pair was cast in bronze from a real leaf and layered with deep green and turquoise pat.. 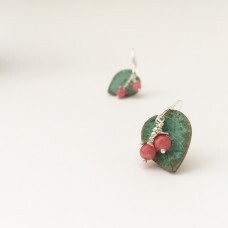 This gorgeous heartshaped pair was cast in bronze from a real leaf and layered with deep green and t..